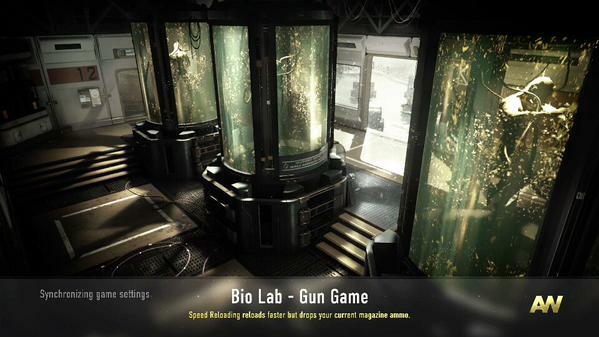 Is Gun Game Headed To Call of Duty: Advanced Warfare? Veterans of first person shooters may all be familiar with Gun Game, a competitive multiplayer mode that started out in Counter Strike, and has since seen its way into multiple other shooters. In Gun Game, players all start with the same gun. As they kill one another, they get better guns. It’s a mode that all shooter fans enjoy, and it may be making its way to Call of Duty: Advanced Warfare, if this new tease made by Sledgehammer’s head Michael Condrey, is to be believed, where he is teasing the inclusion of the mode in the new game. If that happens, it will be awesome, and it will lend Call of Duty even more legitimacy among a demographic that it lost at the height of its popularity, but has since slowly been regaining goodwill with- core fans of first person shooters. We’ll keep you posted on whether this actually comes about, or if it just turns out to be an idle tease.